Mrs. Anne Keresey’s passion was for helping others break the cycle of addiction before it steals away what should be the best years of their lives. Mrs. Keresey has devoted a significant portion of her life to help others battle addiction. Now, thanks to the support of her many admirers, Mrs. Keresey’s compassion will carry on forever. Click here to donate to the Anne Keresey Endowment for Youth Treatment and Programming. Anne Sory Keresey of Bozeman, Mont., formerly of Palm Beach, died Wednesday, Nov. 23, 2016. She was 85. She was formerly a member of the Landmarks Preservation Commission. Born Oct. 18, 1931 in West Palm Beach, she was the daughter of the late Dr. Bailey B. Sory and Katharine B. Sory. She graduated from the National Cathedral School in Washington, D.C., and the University of North Carolina in Chapel Hill in 1953 with a bachelor’s degree in journalism. She worked for Lookmagazine in New York City before marrying Tom Keresey. They lived in New York City; Old Westbury, N.Y.; and Mill Neck, N.Y. In 1976, the family moved to Palm Beach when Tom Keresey left Wall Street to become president of the First National Bank in Palm Beach. Mrs. Keresey was a former member of the board of Planned Parenthood of the Palm Beach and Martin Counties, and chaired Planned Parenthood fundraising events in the 1980s; she became an honorary board member. 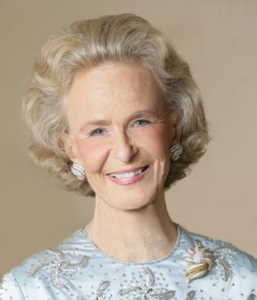 She was founder and chairwoman of the Women’s Advisory Committee for the First National Bank of Palm Beach, board member of Thrift Inc. and a member of the Palm Beach Civic Association. She was a member of the Hanley Center board since 1986. She was also founder and chairwoman of the Hanley Center Advisory Board. She chaired the Hanley Center’s Capital Campaign 2006-2010 as well as many fundraising events. After her husband’s death in 1998, she trained her Boston terrier “Boo” as a therapy dog, making weekly visits for 13 years to hospitals and nursing homes. A lifetime member of The Episcopal Church of Bethesda-by-the-Sea and a former vestry member, she served on the Buildings and Grounds Committee as well as a Sunday school teacher, docent and Church Mouse volunteer. She was a member of The Society of the Four Arts, the Everglades Club, and the Bath & Tennis Club. Mrs. Keresey is survived by three children, Katharine K. Ault and husband Andrew of Santa Fe, N.M., Tess K. Brownell of Gridley, Calif., and Caroline K. Price and husband William of Bozeman, Mont. ; nine grandchildren, Zander Ault, Mimi Ault, Burch Ault, Max Hennessy, T.J. Hennessy, Madeline Hennessy, Thomas Hazard Keresey, Jack Price, Luke Price; and a great-grandson, Paxton Maxwell Hennessy. She is predeceased by her husband of 44 years, Thomas M. Keresey; a brother, Bailey B. Sory; and a son, Thomas Kelley Keresey. A memorial service is planned for 11 a.m. March 31 at Bethesda. Memorial donations may be made to the Anne Keresey Endowment for Youth Treatment and Programming at Hanley Center Foundation, 900 54th St, West Palm Beach, FL 33407. Dokken-Nelson Funeral Service in Bozeman, Mont., handled arrangements.